Rakhi is all about raising a toast to the most notorious relationship a brother and a sister share. And to do so, we have a handful of gifts that can revive some playful memories and cheer each of them up. So, what's with the wait? 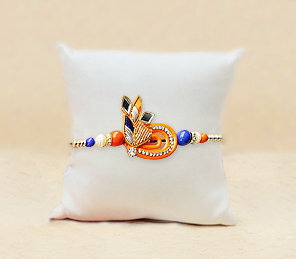 Order Rakhi gifts and maintain your promise to love one another through thick and thin. The raksha bandhan craving of sisters grows stronger as the days of the celebration advances closer wherein flower aura presents to you a Rakhi bonanza of riveting gifts for all the charming sisters which would certainly make this chaste bond of love and adore deeper and sturdy.